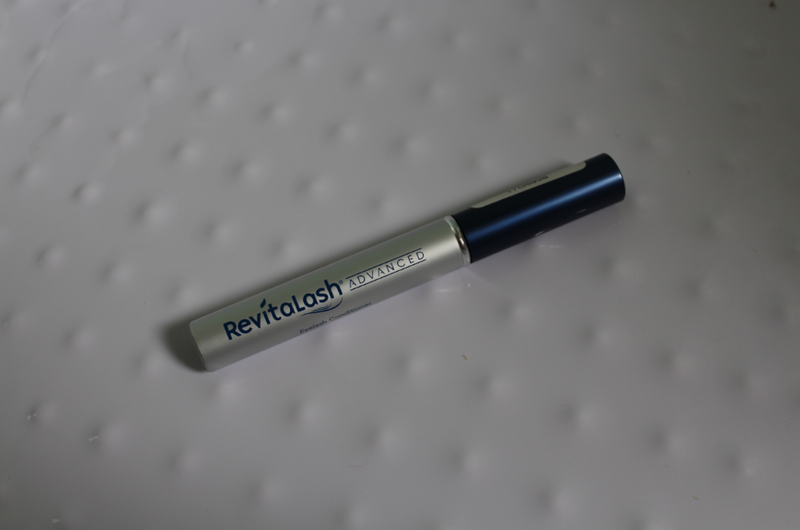 In this article I am reviewing Revitalash Advanced and Rapidlash, since month after month, my 2nd most popular article is this one: Lash Growth Serums Reviewed: RapidLash, Eveline and Rimmel. In it, I compared Rapid Lash, Rimmel Lash Accelerator, Eveline SOS Lash Conditioner. The winner was clearly RapidLash, but this was before I’d tried Revitalash Advanced. Today I am going to talk about Revitalash Advanced, and how it compares to RapidLash (assume I mean Revitalash Advanced where I say “revitalash” in the rest of this article). An epic eyelash batting contest to the death ensued. one looks more high-class. And it should do, it’s twice the price on Amazon. It’s twin colour design also makes it easier to spot in the bathroom. Although the RapidLash one looks like a bigger tube, they’ve both got 2ml of product in them. 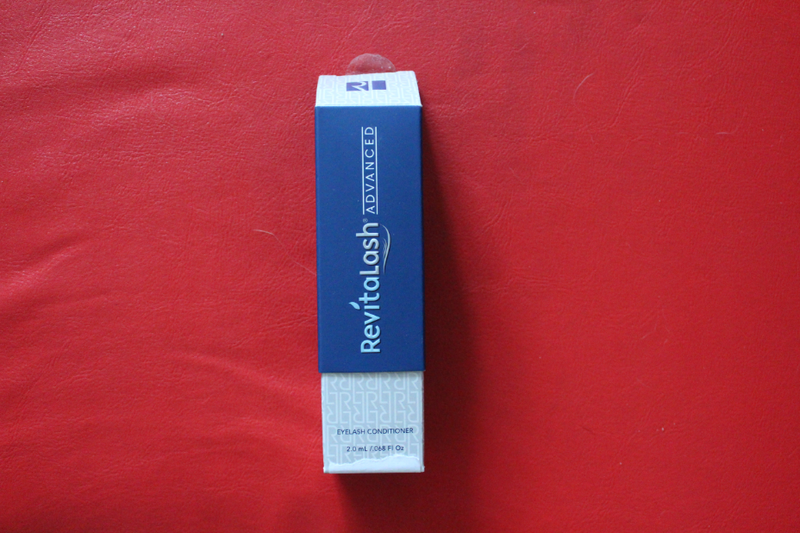 Revitalash looked higher class with it’s sapphire lid standing out from it’s pearlescent silver body. At full price, RapidLash is about £40 ($55) for 2ml and Revitalash Advanced is about $80 for 2ml or $120 for 3.5ml. 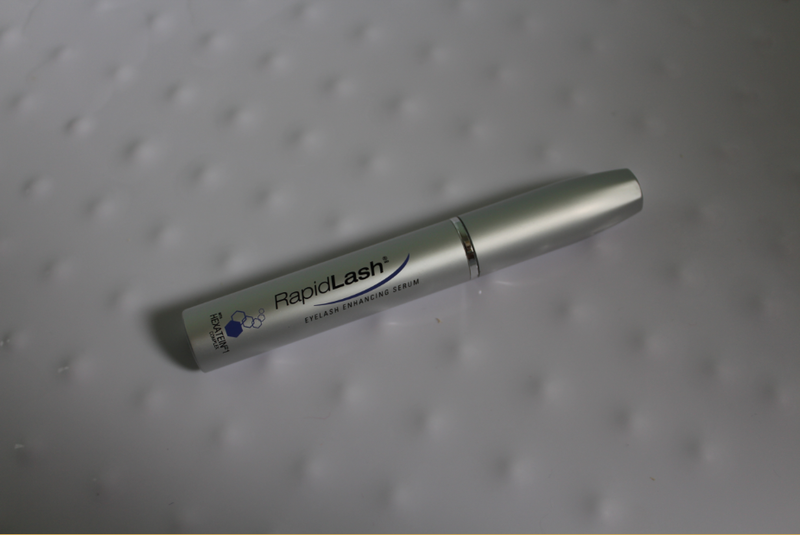 I paid £18.50 ($26) for my RapidLash 2ml before Christmas, and in continuous use that translated to 3 months supply. Revitalash was £44.50 ($65) for 2ml on Amazon and it said on the listing that it was also 3 months supply, although I haven’t finished the tube yet. Rapidlash is a slightly different pearlescent silver colour to the Revitalash. One concern I had with buying half price lash serums on Amazon was whether they were genuine products or not. I scoured the reviews (Amazon had several different listings for each) and found ones that people had said worked, and I looked for ones where people said “I’ve bought this before from my beauty salon, it’s genuine.” It’s not enough that it says it’s coming from the correct brand name because Amazon (and sellers) frequently get this wrong and lie about where it’s coming from, so I always read the reviews on Amazon. You have to. I am glad to say that both the RapidLash and the Revitalash I purchased were genuine. NOTE: Revitalash Advanced is the only Revitalash currently being made, so if it doesn’t say “Advanced” on the box you are buying old, discontinued product that could be out of date. My Revitalash tube was also sealed in plastic inside a box that was stuck down with a circular see-through sticker, so I knew it hadn’t been opened. Even though I’ve linked to the same one I’ve bought, please do check it’s still coming from a reputable source – if there are recent listings saying it’s a fake, listen to them, as suppliers change sometimes! This is what the box should look like. How do You Use Rapidlash? Rapidlash goes over the very root of your eyelash, where it touches the eyelid, and you have to get the product on the eyelid for it to work. As I said in my previous review, because I have a double line of eyelashes, like Elizabeth Taylor, I have to work the stuff between the two layers because it doesn’t soak in or travel between lashes very well. How do You Use Revitalash? Neither of these products have the “glaucoma” drug in it (that’s used in Latisse, which is only available in the US and is prescription only, and will make your lashes grow PAST your eyebrows. Latisse are VERY defensive with their patents and don’t currently let any other company use their patented lash ingredient bimatoprost) and while they both use a molecule that MIMICS the lash growth effect of the glaucoma molecule bimatoprost, they don’t have the same effect on eyes and there is literally not one single case of either Revitalash or RapidLash causing eye colour change either. This criticism is all a VERY old story from 2005 and this was all aimed at Latisse, which has never caused eye colour change, but which is a licenced Prescription Only Product for a reason – it’s a more effective lash growth serum, but it’s also got more potential side effects!! The story behind the eye colour change is that the INGREDIENT (bimatoprost) used in Latisse has caused eye colour change in VERY high quantities when it’s used in a different formula to treat glaucoma (where it needs to be in a high enough concentration to cause significant eye pressure drop, y’know, to treat glaucoma, a serious eye disease). It got cross applied by those people who don’t understand science but love to talk beauty with pseudoscience. But the truth is, nobody’s eyes have changed colour using any of these lash serums, which I’m sure Allergan and Athena (the companies that make Latisse and Revitalash respectively) are sick of having to reiterate and confirm again and again. Revitalash DOES contain a very similar active ingredient to Latisse (dechlorodihydroxydifluoroethycloprostenolamide is the active ingredient in Revitalash) which is why it is more effective than RapidLash but it is NOT the same or Allergan (who are famously rivals with Athena Cosmetics over their lash serums) would have slapped more patent infringements on Athena for it. RapidLash and Revitalash also DON’T contain snail secretion filtrate, unlike Marvelash (EWWWWW THAT’S GRODY TO THE MAXXX) which I wouldn’t touch with a bargepole because I have a phobia of slugs and snails. Basically, you know Revitalash is good stuff because otherwise Allegan (who make Latisse) wouldn’t feel so threatened to keep constantly trying to get Revitalash relegated to “prescription only” (or withdrawn) because they’re scared of it being “unfair competition,” and you know Revitalash is safe because otherwise the FDA would have banned Revitalash permanently by now (and if you read the history you’ll see how many times Allergan/Latisse have tried to make this happen). The only time Revitalash was banned, it was because of a “fair competition” law that then got laughed out of court on appeal, it was nothing to do with safety. As a qualified chemistry teacher who knows a thing or two about science, I can wholeheartedly say that while ANYTHING can cause you an allergy (some people are allergic to water), these products are all safe. 1. It made my eyelashes grow LONGER. did not leave my eyes with a red rash, and didn’t leave my eyeballs feeling dry and tired. When I used Rapidlash I was more sensitive to eye strain and dry eyes. The first time I used it it went away after a while, but I stopped using it for 3 months and when I started again the redness and dryness never went away (but I didn’t get the under eye irritation this time). Revitalash didn’t affect my eyes at all. As you can see, my lashes got longer from RapidLash, but my eyelids were not happy (usually they’re the same colour as the rest of my face). What happens if you use RapidLash and Revitalash together? You get stupidly long lashes very quickly but after 1 day your eyes feel really weird and achey and oversensitive to light and your eyelids go worse than in the picture above. So I am quite sure the two products cannot be used together and I stopped using the RapidLash completely on day three (I wanted to make sure it wasn’t a coincidental eye ache) before I went blind or my eyes turned into antennae or I got x-ray vision or something. I couldn’t find any information about this online so I may have been the first person to try this then write about it. Revitalash is more expensive, but if you want properly long lashes, Revitalash is the real deal and is the one to go for because RapidLash is good, but it’s not AS good as Revitalash, and for me, the redness and occular irritation were deal breakers once I’d found a product that didn’t upset my eyes but still did the job. as it’s the best value for money. Which serums have you tried? Would you ever try one? Let me know in the comments! 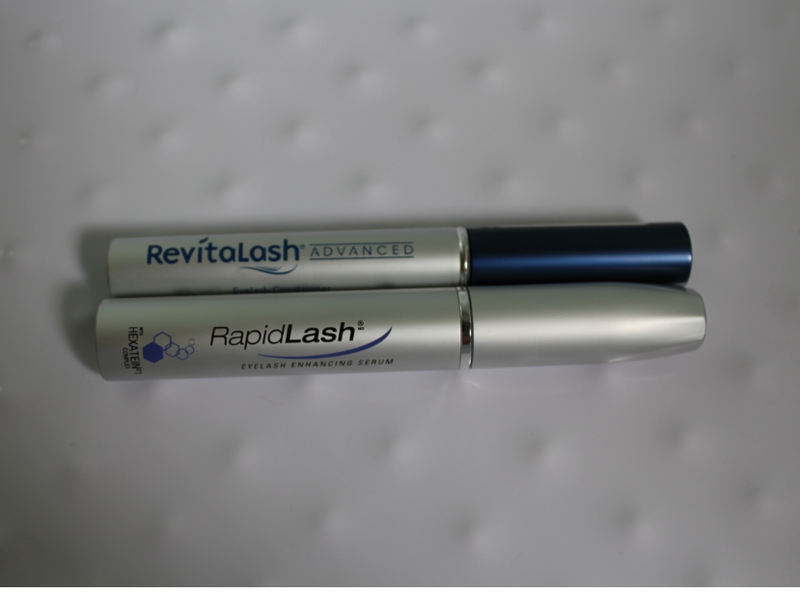 UPDATE MAY 2016: I have now written a review comparing RapidLash and Revitalash to Grande Lash MD, see which lash serum is better, Grande Lash MD, Rapid Lash or Revitalash!! product started causing brown spots in both eyes. My eyes are forever changed in color. I am very sorry that this happened to you. Previous Previous post: Ben Lomond? More like Ben SNOWmond!